Human Resources (HR) is critical in the success of an organizations strategy, people and growth. You, as an HR leader effect culture, employee development, training and retention. When effective, you help your organization accomplish their goals, roll out new initiatives and develop the next generation of leaders. The Society for Human Resource Management recognizes this, as well. 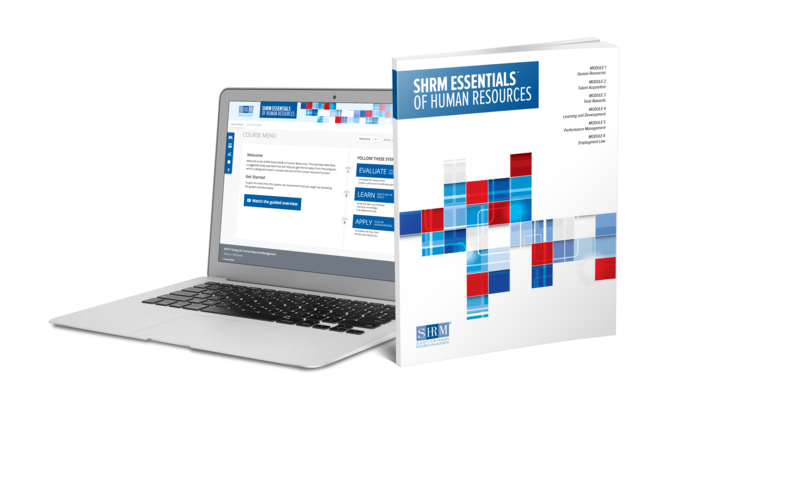 Recertifying your SHRM credential requires that you earn 60 professional development credits every three years or retake the exam. With the New Horizons Center for Leadership and Development, earning PDCs is simpler than ever! Call us at (888) 825-6684 and we will discuss the many courses and training options available to help you achieve your re-certification. It’s affordable and easy to do! Gain the critical knowledge necessary to help reduce costs, avoid potential lawsuits, and improve your ability to handle challenging HR issues. This program is ideal if you are just starting out in the HR profession. Yes, to be eligible for the SHRM Essentials of HR Management, we reccomeng you have a least six months professional experience. Congratulations! Now you must decide whether to apply for the SHRM-CP or the SHRM-SCP exam. The first step in selecting the right credential for you is to determine your eligibility. Eligibility for the SHRM-CP and SHRM-SCP is based on your combination of education and HR-related work experience. HR Certification Institute®(HRCI®), headquartered in the U.S., is the premier credentialing organization for the human resources profession. For 40 years, HRCI has set the standard for HR mastery and excellence around the globe. Through the combination of formal education, adherence to high ethical standards, demonstrated knowledge and achievement through exam and a renewed commitment to continuing professional development, HR professionals certified by the HR Certification Institute enhance their professional credibility and the organizations they serve. HRCI's Associate Professional in Human Resources™ (aPHR™) is the perfect certification to help fast-track your career growth and provide you with the confidence to launch into the HR profession. The aPHR is the first-ever HR certification designed for professionals who are just beginning their HR career journey and proves your knowledge of foundational Human Resources. To be eligible for the aPHR you must have a high school diploma or global equivalent. No HR experience is required since this is a knowledge-based credential. Advance your HR career by earning the Professional in Human Resources® (PHR®) from HR Certification Institute® (HRCI®). The PHR demonstrates your mastery of the technical and operational aspects of HR management, including U.S. laws and regulations. The PHR is for the HR professional who has experience with program implementation, has a tactical/logistical orientation, is accountable to another HR professional within the organization, and has responsibilities that focus on the HR department rather than the whole organization. OR Have at least four years of experience in a professional-level HR position + a high school diploma. Showcase the HR leadership recognition you deserve with the Senior Professional in Human Resources® (SPHR®) from HR Certification Institute® (HRCI®). The SPHR demonstrates your mastery of the strategic and policy-making aspects of HR management as practiced in the U.S. The credential is designed for big-picture thinkers responsible for planning rather than implementing HR policy. Organizations seek out SPHR professionals for their proven accountability for HR department goals, for breadth and depth of knowledge in all HR disciplines, and for understanding business issues beyond the HR function. OR Have at least seven years of experience in a professional-level HR position + a high school diploma.